We can’t stress the importance of an engaging landing page enough! Our Interactive Landing Page Map provides a visual of all the product vendors, service providers or rental listings available to book on your marketplace. Content features like this give visitors an instant, concrete piece of information about what type of products or services your marketplace has to offer. You’re essentially eliminating the step of visitors having to go through your browse page in order to see all available products or services. The less time a visitor has to spend browsing to find what they’re looking for, the higher the chances are that they’ll make a purchase or booking. People are obsessed with instant, especially when it comes to web browsing. The less time a visitor has to spend browsing to find what they’re looking for, the higher the chances are that they’ll make a purchase or booking. When a vendor, service provider or rental provider adds a product, service or rental listing, they are automatically added on the Interactive Landing Page Map. Setup is virtually touch free for the site admin since the information populated on the map is user generated. 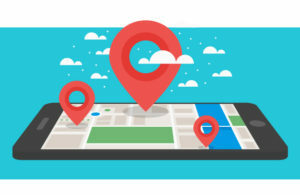 Your marketplace and your sellers can benefit from our Interactive Landing Page Map Feature for a one time fee of $150. Just send us an email at help@marketplacesupports.com and let us know that you want to add it to your marketplace. Click here to check out some of other awesome upgrades and features!